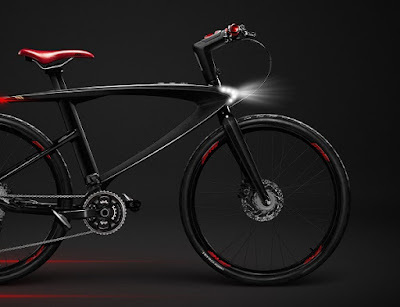 The bike comes with a waterproof smart device with a 4-inch display, running Android software. 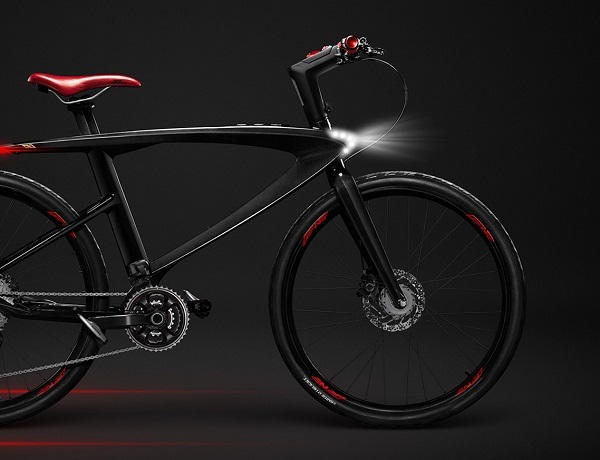 The LeEco Super Bike offers advanced features including a smart riding system, laser lane markers, fingerprint identification, a smart lock, intercom feature, sensor group and power management system. On-board lights for safety include a headlight, tail-light with integrated side laser markers to create a personal visible bike lane. Handlebar mounted side lights come with turn signal indicators. And, it comes with a horn and hydraulic disk brakes. The bike features an alarm triggered by movement, location tracker, fingerprint scanner, and an electronic parking brake on the rear disc. A 4-inch display with an interface tailored to the user and a cloud connected smartphone app lets you share your travels. From the home screen on the embedded smart device, riders can start cycling, engage navigation mode and set goals using time or distance targets. LeEco Super Bike also features a push-to-talk intercom feature. An FM radio saves your favorite stations. And it comes with a media player for MP3s. Additional sensors include: heart rate monitor, accelerometer, gyroscope, temperature and humidity sensors and compass capability. OMG that bike has everything but a gun and the kitchen sink!! !